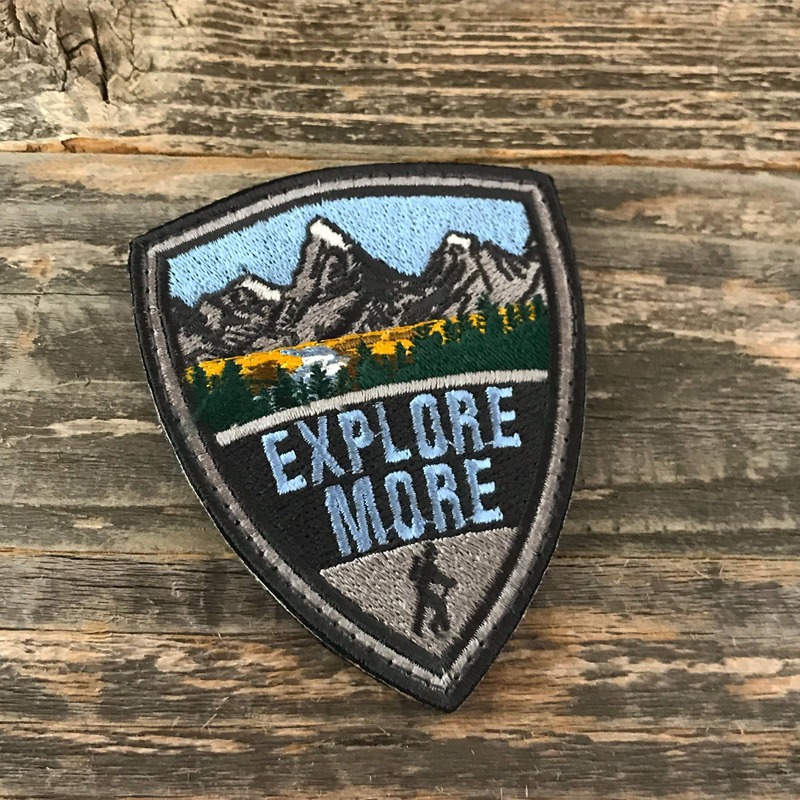 Explore More Series Badge Embroidered Morale Patch. 3.5" tall by 2.5" wide. Iron On or ve|cro backed. Contact me for international shipping if your country isn't listed when you check out.